The Smiley Booth franchise opportunity gives you all the flexibility and excitement of your own business with the full support of an established brand, head office team and network of franchisees. As a Smiley Booth franchisee you’ll be part of some of the most important celebrations in peoples lives whilst working in a very sociable and rewarding business. You’ll never tire of people telling you how much they love your service! “It’s even more than we expected. What a fabulous franchise. we’re so happy to be a part of it”. The UK events market is valued at a whopping £40 Billion. The global wedding and events industry is estimated to be worth over 600 billion dollars and growing bigger every day. There are over 250,000 weddings every year in England alone, add to this a huge number of corporate and private events providing each franchise with a massive opportunity to grow. This is replicated across our European and Worldwide territories. A limited number of large territories enable you to grow a business instead of just owning a job. HUGE net profit margins of up to 62% and incredibly fast returns on your initial investment. We are the largest photo booth hire provider in the UK and Europe. Our franchisees are given systems, staff and support that would usually cost them upwards of £3800/€4200 per month should they have tried to do it on their own, but they get this for free enabling them to completely out manoeuvre their competition. As a franchisee you’ll receive unparalleled support and tools that enable you to scale your business and maintain excellence in service, giving you a great reputation, referrals and a sustainable business. You’ll receive state of the art equipment which is included in your franchise purchase. 24 hours a day, 365 days a year technical support when it matters most. A strong, passionate community of franchisees all working together to grow a fun and rewarding business. 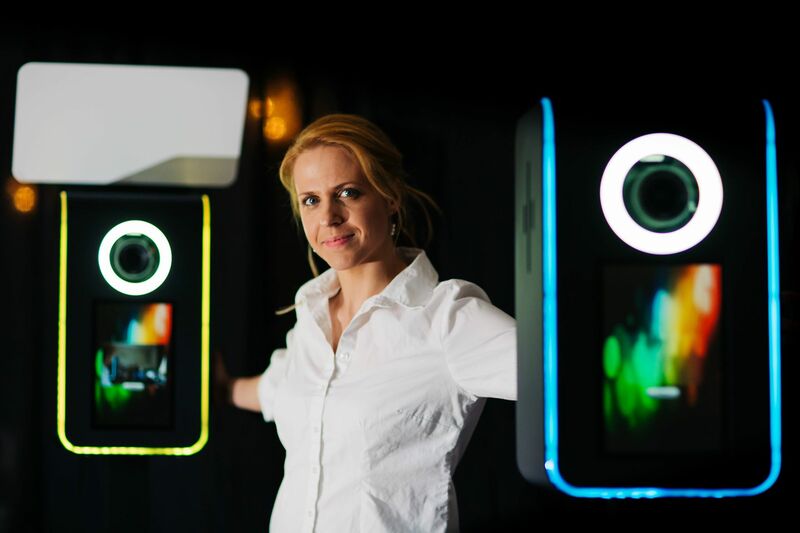 Lee and Kate Johnson first stumbled across the photo booth concept at a family wedding in America and sensing a gap in the UK market quickly developed a ‘home made’ photo booth. Initially intending to be only a part-time business, it was soon apparent that Smiley Booth had much bigger ambitions and turnover grew in the first 3 years by a massive 800%! 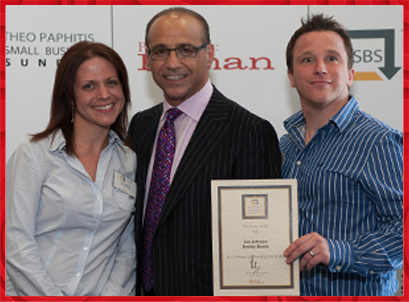 After receiving multiple industry awards and working with brand giants, celebrities and at international events it was time to share Smiley Booth’s success by franchising the business. 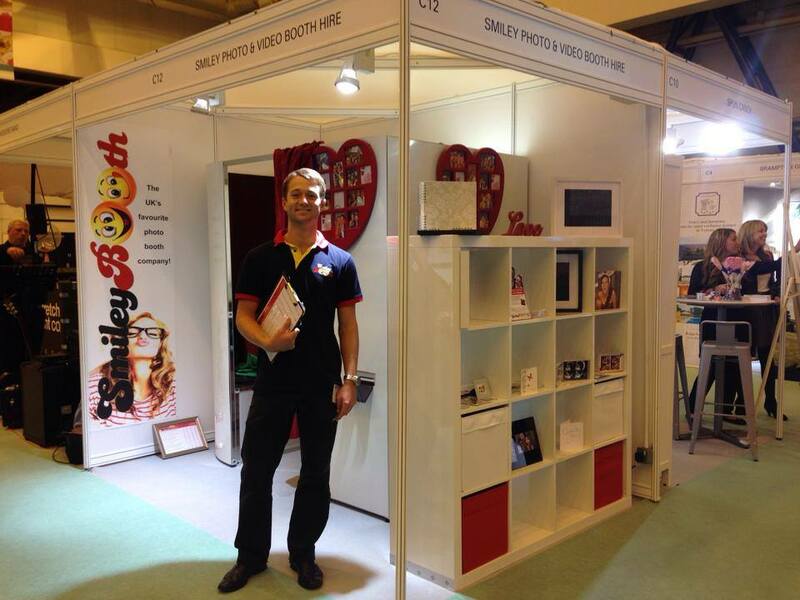 Through the franchise opportunity, Smiley Booth can reach more people and cover more events while helping people to create their own dream businesses following the exact path Lee and Kate took. Being a Smiley Booth franchisee is like being a member of a big extended family, franchisees talk to each other and head office almost daily. There’s a real sense of camaraderie, with everyone helping each other and collaborating on projects together. Smiley Booth franchises have seen consistent growth year on year and enjoy operating flexible businesses to suit their lifestyles. We’re looking for a limited number of enthusiastic superstars to join our team. Join Smiley Booth Founder Lee Johnson on a Live Video Presentation where he takes an indepth look at the franchise fact and figures. Enter your email address below to reserve your space.